Please support us by sharing and reviewing the Best Hanuman Chalisa App Available on Market Store so that we can improve and add new features. 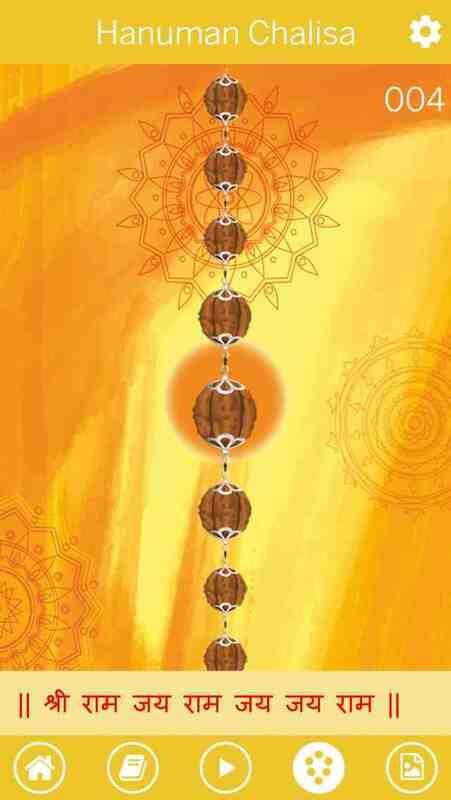 This Free Hanuman Chalisa App is made for all the Lord Hanuman Devotees. Feel the aura of Hanumanji with the mesmerizing instrumental music. 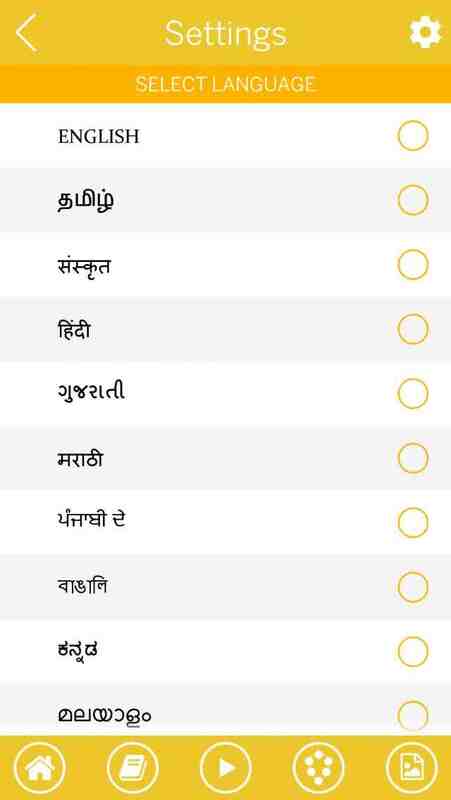 The Hanuman Chalisa can be read in 11 different Indian Languages. 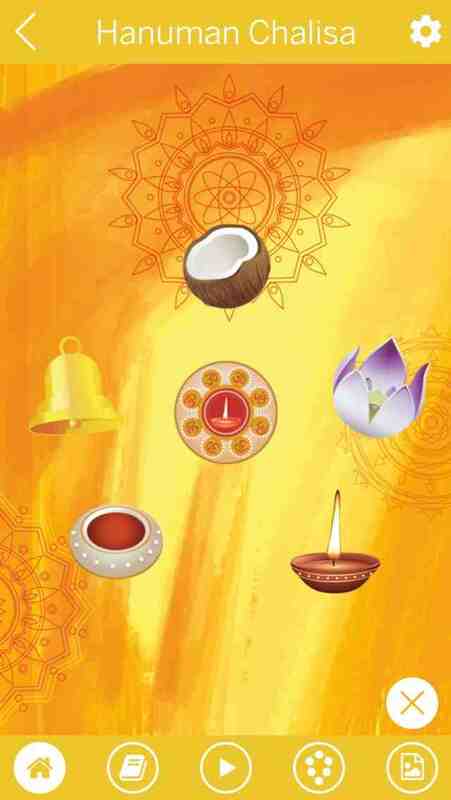 Interactive Prayer Option makes this App stand out in Android Market store among several Hanuman Chalisa Apps available. 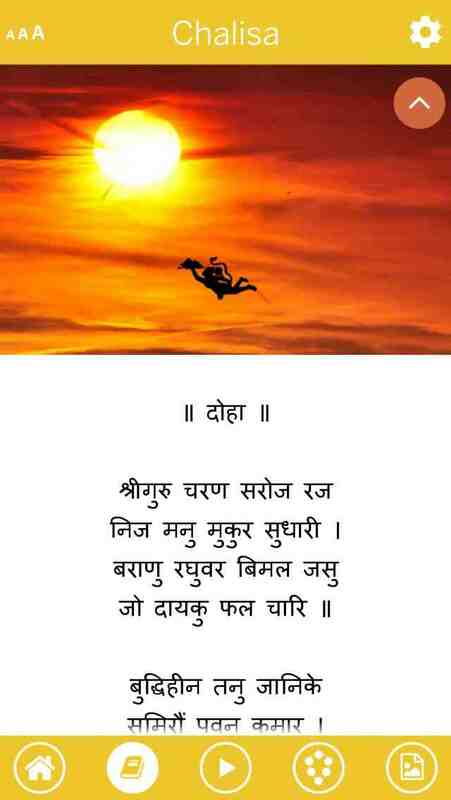 Hanuman Chalisa App is available in English, Hindi, Gujarati, Tamil, Telugu, Kannada, Malayalam, Bengali, Punjabi, Marathi, and Sanskrit. To make sure the Hanuman Chalisa App is available to a wider audience;it is made compact in size and has been tested on wide range of mobile and tablet devices including Mi 4i, Galaxy Note 2, Redmi 2, Micromax Canvas Express 2, Gionee P2S, Canvas 2 Plus, Motorola Moto E, Samsung J7, Yu Yureka, Nexus 7, etc. • Play, Pause, Stop Button for easy usage. • Offline app. 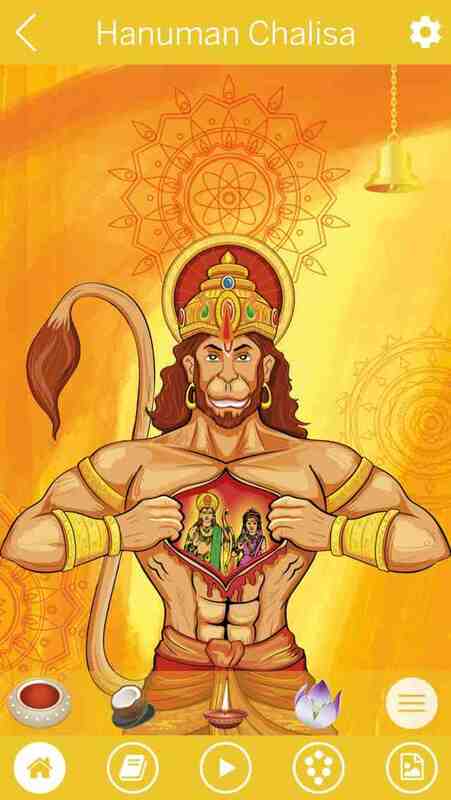 This hanuman chalisa app works without internet after install.